Supply public bodies with a uniform procedure that can be checked.In the past, product requirements and test procedures in Europe were set by the individual Member States of the European Union. This meant that, for example, companies that wanted to sell their products on the European market sometimes had to deal with more than ten different technical requirements or procedures for just one product. The existence of all the different national legislation was contrary to the aim of the European Union in realizing one Single Market, in which there would be a free circulation of goods (as well as a free circulation of persons, services and capital). https://en.egetestcenter.com/wp-content/uploads/2017/03/Ce-Belgeleri.png 857 1200 Yusuf Ulas Kabukcu https://en.egetestcenter.com/wp-content/uploads/2017/03/Ege-Test-Center-300x143.png Yusuf Ulas Kabukcu2019-03-29 16:32:352019-03-29 16:32:35Why CE Marking? CE marking, which indicates that the product will not harm human health and nature in case it is used in accordance with its production purpose, also shows that it will work in harmony with other products, equipment and devices used in the same environment. 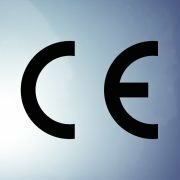 As the precondition for the sale by the European Union, it is demanded to meet the standards defined by the CE marking and the European Union harmonization process is continuing These standards, which are defined by CE certificate, are closely related to manufacturing companies in our country. Although it is considered that the companies doing research about what is required to obtain CE certificate are only enterprises that aim to export to the European Union, it is preferred that the products have CE marking even in private or public tenders in our country. The product that is intended to be placed on the market in vital issues such as human health and nature-friendly use, failure to meet the CE marking standard, which sets the qualitatively acceptable minimum level of safety and compliance; it means that the product is not safe for use and therefore is not allowed to be sold. Instead of developing strategies according to the results of the applications to be made after production in the calculations related to the cost of obtaining CE certificate from the design stage of the companies,It would be best to produce their plans from the outset to meet the requirements. The cost of obtaining the CE certificate in case of exhibiting the attitude according to the result of the application and if the expected approval is not obtained, The costs of the product’s will be much higher, as it requires planning from scratch, from design to production. In addition to prevention of time loss, our company provides consultancy services in order to get rid of high costs caused by starting the production process from zero. In addition to providing guidance on what is required to obtain CE certification and legislation, it also conducts laboratory tests to determine the characteristics of products such as LVD and EMC. Our expert team will inform you about all processes from the first stage of the application,It allows you to have information about the progress of the approval process by sharing the results of the scientific tests in the laboratory and the results of the required tests simultaneously with you. When you work with Ege Test Center expert teams, CE Certificate Approval Process and Cost. For detailed information and communication, you can send an e-mail to marketing@egetestcenter.com or fill in the form at https://en.egetestcenter.com/applyonline/ and contact us.